Etsy's promoted listings provide benefits beyond the ads. 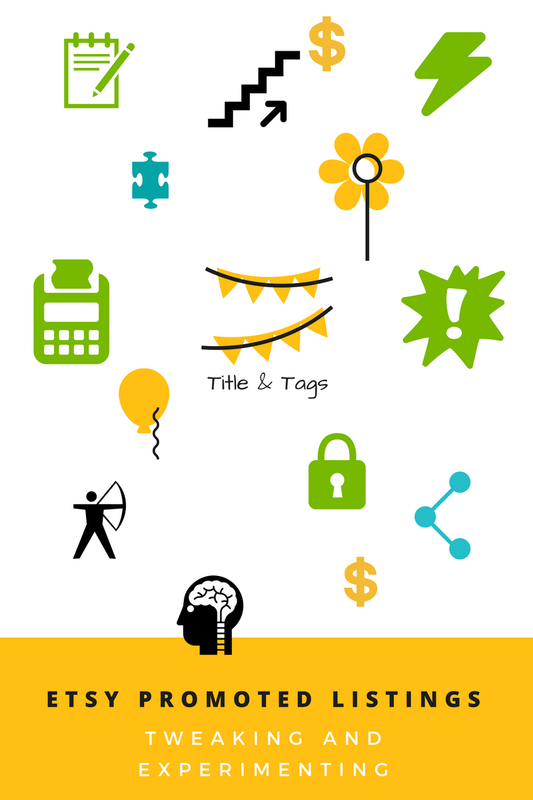 The extra statistical data provided can be a powerful tool to improve your listings. Do not be intimidated. It is not difficult. What is your overall click ratio? Compare your impression with your clicks. That is your overall click ratio. The lower that is the better. Mine as shown was 138. That means that for every 138 times someone was presented with one of my items, they clicked on it once to view the item. Is this good or bad? I don't know. However, I can track this number over time. I will take steps to reduce it. Does one of these ratios stick out to you? Yes, the last one. It was visible 861 times with only one click. It is way higher than my shop average of 138. Why is that? 1. Is the first photo of high quality? The first photo needs to grab peoples' attention. 2. Does it have a powerful title? 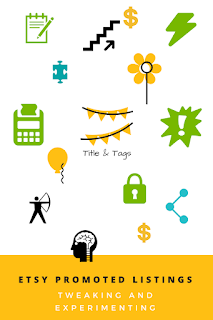 Be sure it has keywords and phrases that buyers will use when searching. Keep the best search terms at the beginning of the listing to maximize their importance in search. 3. 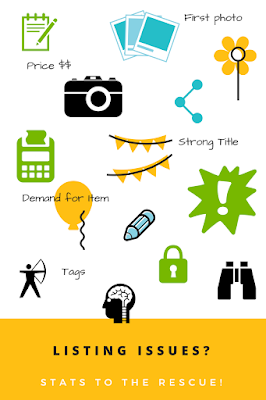 Are you making the most of your tags? Use all 13 tag slots. Employ a blend of multiple-word phrases repeated from your title and description. Use terms that buyers will use to search for this item. 5. How is your pricing compared to similar available items? 6. Is your item in the best category? After you have analyzed your listing in view of the above six points, take action. Retake photos. Tweak titles and tags. Adjust the price and category. Perhaps yard sale the item and move on. In my example item the issue was tags; I had published the item without changing the tags. That is a serious mistake which I have fixed. However, I only found it after doing a statistical analysis using the data obtained from Promoted Listings. The top performing search term for this listing is "hall tree." These hooks can be used for a hall tree. This is not a hall tree, but rather just the vintage hooks for one. I checked to make sure my item is in the fixtures category and not furniture. That's good. Unfortunately, this is one of those cases where the tag stays. It will drag down my overall click rate. I know why and am good with it the way it is. In a recent time period I had 14 orders and 1229 clicks. When you do the math, 1229 clicks/14 orders = 88 clicks/order. That is another ratio to track over time. I don't have enough data to reach any conclusions yet. My non-ad rate was 134 clicks/order for the same time period. Now that I have baselines, my next goal is to improve the ratios. 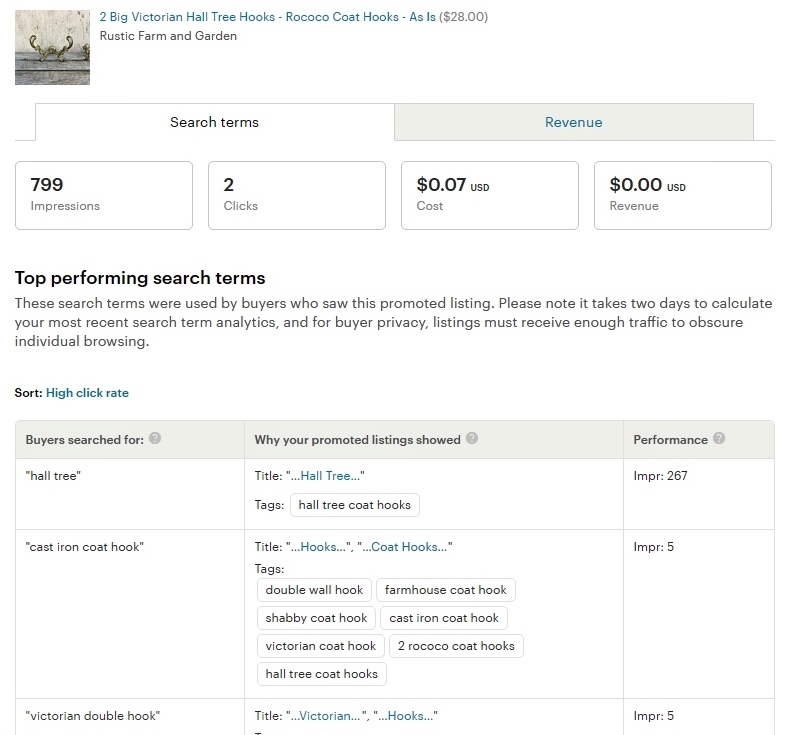 If an item gets ridiculously low impressions, the issue could be SEO. This is often the case if an item gets almost all of its clicks from ads hardly any from regular searches. 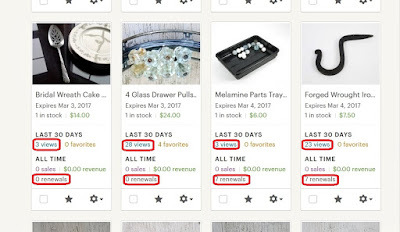 Etsy uses the same relevancy information for ads that it does to determine how your items show up in general in searches. In that case it is necessary to tweak titles and tags. What is your click ratio? How many clicks per order does your shop average? How can you improve your numbers? Thanks for joining me in looking at the extra statistical data you receive as a part of Etsy's Promoted Listings! Your Promoted Listings campaign is up and running. Is it going well? Are you ready to make some adjustments? What items are you promoting? Everything? Older items? Certain categories? Just a few higher priced items? How much per bid? 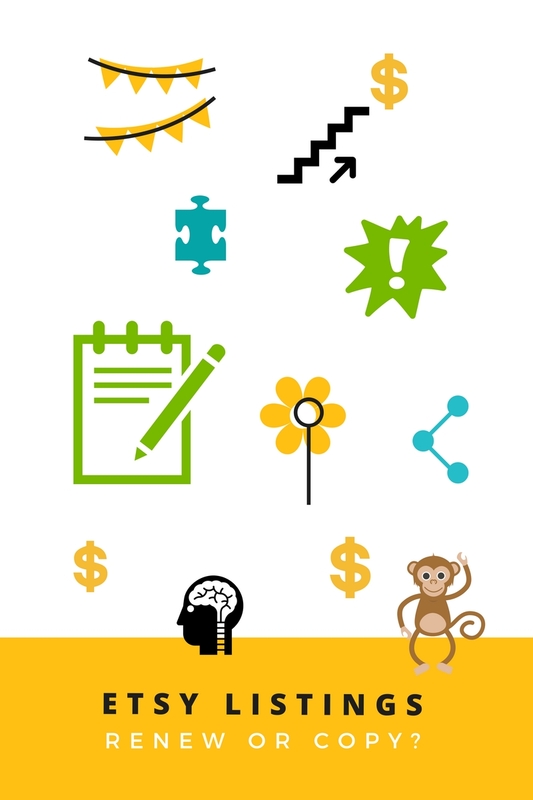 Automated bids, custom bids, or a mix? Have penny bids worked? How much per day? What time each day do you reach it? Have you raised that on peak days? Are you only promoting at times? Only during some months? Just certain days of the week, say weekends only? Or do you let your budget run out every day, so you are not advertising late in the evening? 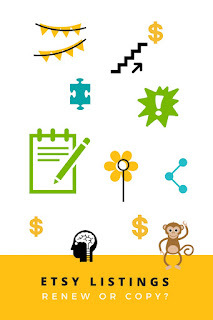 Because of so many variables, it is wise to tweak only one aspect of your advertising campaign at a time. Whatever you adjust, keep the other three factors the same. That way you can isolate those changes when evaluating results. When experimenting, be sure to allow enough time. A day or two do not provide enough statistical data to make important decisions. Allow at least two weeks for evaluation, perhaps as long as a couple of months. 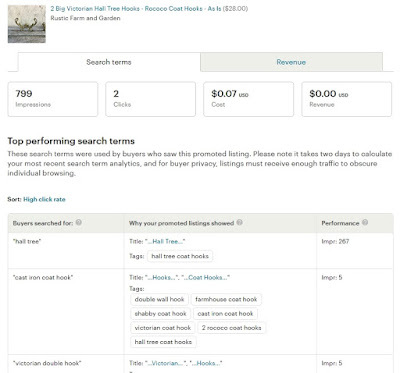 It might take that long by the time you tweak what you are promoting, how much per bid, how much per day and when you are advertising your items. Reports from sellers vary from losing money to making back over ten times what they put in. The average seller I polled makes about four to five times what they spent. Yes, you must work hard for such a return. 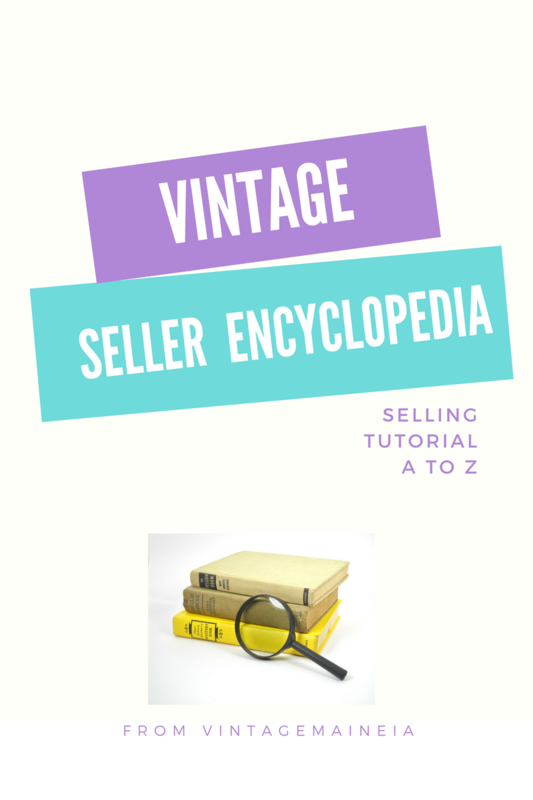 Vintage sellers must buy, research, list, pack and ship vintage items. However, making back four or five times what you spent might be worthwhile. Plus, there are benefits beyond the ads. Are ads working well for your shop? Can you make them work even better?